At Rise Up With Jesus, families explore surprising details about Jesus’ resurrection on that glorious Sunday morning 2,000 years ago. Hand-in-hand, they’ll journey through captivating stations that drive home one irresistible truth: Jesus is alive today! Easter for Families is a great way to welcome the spring break. Click to Register for this event. Ash Wednesday, is the first of six services during the next six Wednesdays. Each service starts at 7:00 p.m. For the first Wednesday there will also be a meal that starts at 6:00 p.m. It will be a blessing for you to be there. And if you have young children feel free to bring them along in their pajamas if you would like. 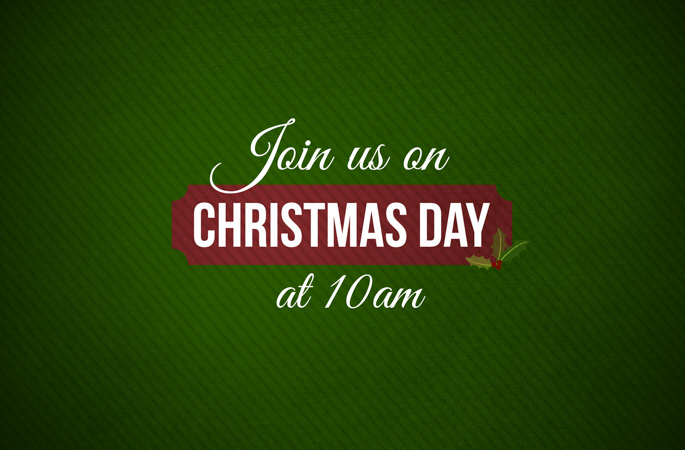 Join us as we celebrate the birth of the World's Savior and all of the joy and peace he brings. Bring the whole family, neighbors and friends - everyone is invited! Advent by Candlelight is an opportunity for women to set aside the hustle and bustle of holiday preparation and focus their minds and hearts on the birth of Christ. Beautiful decorations and fellowship provide a delightful atmosphere for the ladies to enjoy music, a worship service or devotions by candlelight. Invite your female family members, friends and neighbors for a Christ-centered preparation for the holiday season. There is no charge for this event. Space is limited so we recommend that you make your reservations early! Contact us if you wish to attend and we will get back to you and set you up with one of our hostesses. Join us for a wonderful evening of fellowship on our beautiful patio. 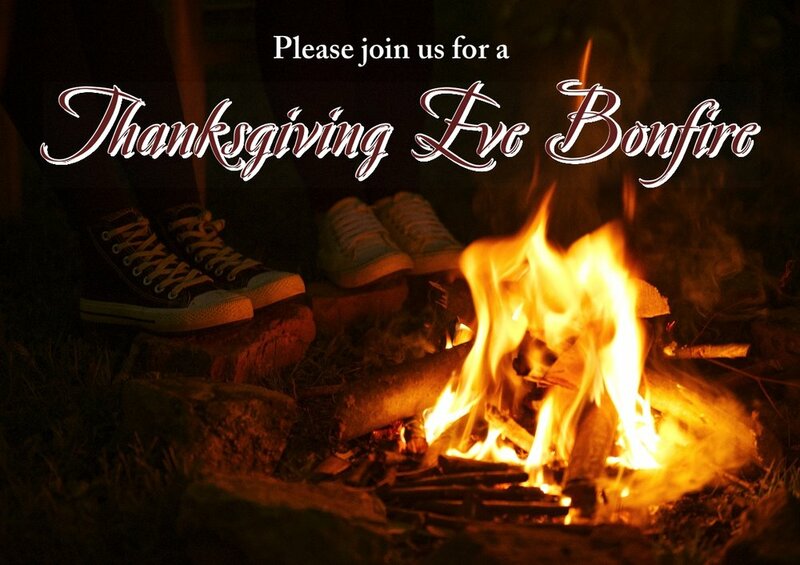 Included will be a chili dinner, a bonfire and some moments to give God thanks for all of his blessings! It is one of our favorite evenings of the entire year. Hopefully you can join us! The date of Risen Savior's annual Festival of Freedom and Friendship is Sunday, July 8th. The festival will include the music of Him & Her and an international potluck after the service. What begins on Valentine's Day and ends April Fool’s day? The answer isn't some earthly romance, but rather the season of Lent, a time for us to see just how great our Savior's love is for us. During the Lenten Season, we watch as Jesus carries the weight of the whole world's sins to the cross. It is our tradition that as we follow Jesus' path to Calvary we add midweek Lenten services to our worship schedule. Please join us Wednesday at 7:00pm to ponder and rejoice in the forgiveness that Jesus won for us. The next session of Mornings with Mommy will begin on Tuesday, January 16 at 10:00am. This will be a four-week session that meets four Tuesdays in a row. Since 1978 Risen Savior has been sharing with the Chula Vista Community the message that Jesus Christ is the Savior of the world. Pastor Paul Schulz and the members of Risen Savior enjoy being a close family, but always have room for more and welcome all age groups. Risen Savior's entry in the 2017 parade is a living nativity remembering the birth of Jesus Christ. Begin your Thanksgiving celebrations with a time to give the Lord thanks for His many blessings. Gather together with family and friends and enjoy some chili and a warm bonfire on the back patio at Risen Savior. Come join us for a safe Halloween gathering dressed in your favorite costume. We'll have Candy, Food, Games and Face Painting. Bring your family and friends for spooktacular fun! Mornings with Mommy provides opportunities for adults to mingle with each other while enjoying educational activities with their children. See Community tab for additional details. 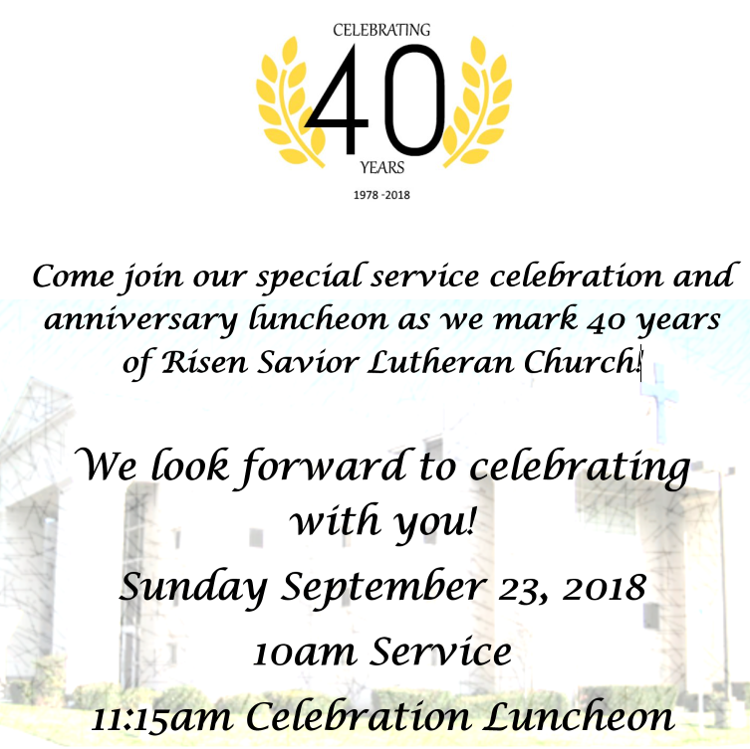 The annual Risen Savior picnic will be this Sunday, September 17, after the church service. Hamburgers and hot dogs are on the menu. If you want to bring a side or a dessert it would be much appreciated!. Feel free to dress casual and bring along a yard game to play! Bonitafest will be held at Bonita Vista High School from 9AM to 4PM on Saturday September 16th. Please stop by our booth and learn more about Risen Savior and other upcoming events. A group from Risen Savior will attend the Padres Game on August 20th. The game begins at 1:40 PM and is vs. the Washington Nationals. The Mornings with Mommy theme for Wednesday, December 14 is "Happy Birthday, Jesus!" It starts at 10:00 am. See our Meet Up page for additional information. "Story Time With Jesus" will include a Christian based book reading for ages 1-6 in both English and Spanish. Participants will also be able to take home a Christian based book for their child(ren)! There will be refreshments. Get the word out and bring a friend! Food for both body and soul - that's what Men's Breakfast is all about. We meet at church on Saturday mornings at 8:00 am for a continental breakfast and some in-depth Bible study and discussion. Stop by on your way to work. We'd love it if you could join us. The disciples were gathered together in fear and apprehension, yet Jesus brings a word of peace and assurance. His presence among them gives a full sense of complete well-being. Jesus is present among us today as well, assuring us that all is well and that we are truly at peace with God and with one another.